I love mogging on Aynslie. I feel so much more versatile with cloth! Here are another two sets that stemmed from the AH. I found some lowbie green chests that I liked, and went at it. The blue set turned out much better than expected, although I do think I'm slightly biased with it since I feel like it matches my Spectral Tiger mount really well. The Gossamer Robe set was pretty much a copy of a local mog set I posted a while ago, with a few tweaks. Aynslie, Honeypants and Local Mogs! Todays pvping inspiration was driven by the urge to mog a random cloth chest piece from my alt bank. I literally typed in cloth, checked the chest pieces, and this and one other stood out. I asked my buddy Prynne which one I should mog to, he said this one, and voila! I really like the colors of this robe! Added Larek to the Local Mogs tab. I love this set, wish I had a mage! I have been pvping a lot lately with Aynslie. I spend a good chunk of my downtime between queues messing around with the transmogrification NPC. 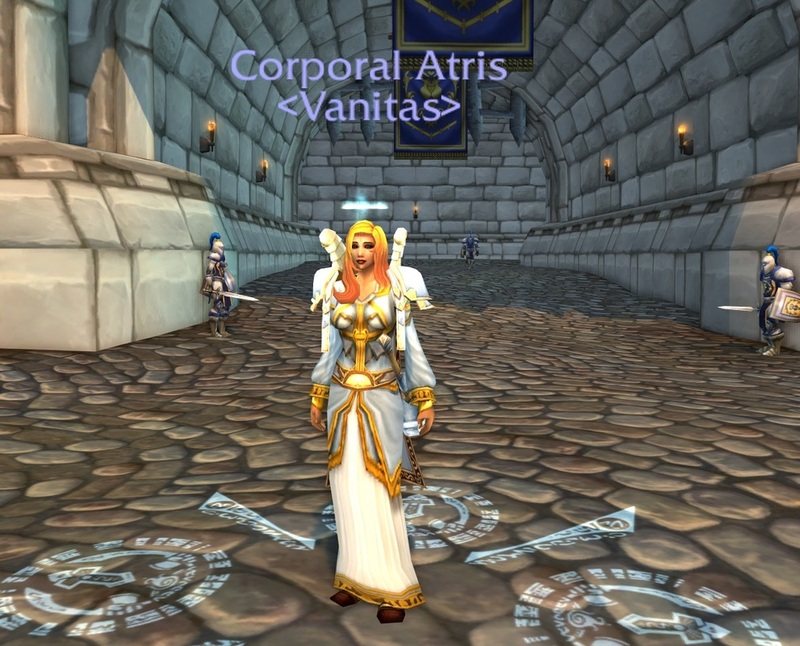 Sometimes I don't make it a night without changing her mog. I figure while I've been slacking on posting some of her more "official" sets, I could post her pvp sets. Kind of like in between sets! I'll post them as I do them between queues from here on out. Here's tonights!